April 15th I will start in this years first race; Ironman South Africa, which also counts as African Championship. IM SA is one out of five prioritized races I plan to participate in during 2018. The others being one European Championship and three World Championships. I’ve hired a coach. Oscar Olsson at O2Tri is now guiding me in my training programme and I visit his training centre on a regular basis to get inspiration and feedback. I’ve increased my participation in the training group FastLane under supervision of head coach Anna-Karin Lundin at Simcoachen.se. Add to that individual coach sessions incl. video analysis and tailored drill programmes. I’ve become a Wahooligan. Since I got my Wahoo Kickr I’m able to conduct high quality sessions on my TT-bike several times a week, no matter what the weather is outside. In my power cave it’s always the perfect temperature and a light breeze 🙂 . Living in Sweden means that I can’t conduct really race like training sessions for at least another 2 months. It’s too cold for open water swim sessions, long hard rides on a TT-bike or run activities that simulates race circumstances. But thanks to the changes mentioned above, I sense that I’m on the right track; I’ve lowered my swim CSS 4 secs since November, I consider my 120 min Kickr rides ”business as usual” and I run my 1 k FTP-treadmill intervals ”relaxed” @3.25. This would not have been the case had I not decided to challenge the way I plan and execute my training. So what is it I’m striving for? Honestly it has taken me some time to really understand and grasp what’s really driving me this year. And then recently on a flight back from a workshop in Munich I took the time to relax and seek inside my self. And in a combination of reflecting on the crucial ability to separate my view of me as a person and the view of my performance in a given situation, and what I want to achieve with my training and racing this year I realised: I want to win. Now, it might sound obvious and simple, but to me it wasn’t that simple. Partly because I felt a strong need to avoid striving for ”being the best”. Being the best would to me be too close related to me as a person and thus don’t serve as a guide for performance. I don’t want to be the best; I want to execute a great race, fast enough to win. I don’t focus on my competitors, since they can’t guide me to my best performance. I focus on my own race. Of course like to know how I’m doing during the race, but I don’t use my position during the race as a guide for decision-making until the last 10-15 km of the marathon in an Ironman. This helps me to race MY race, and by doing so I feel that I’m more able to deliver a good performance. A performance that defines whether I reach the podium (”I did great!”) but do not define me (”I am great”). Thus, I want to win, not be the best. Some may say it’s semantics, and I won’t argue against that, I just use it to my advantage during training and racing 🙂 . This is also one of the most frequent challenges I discuss with younger athletes. How to understand, deeply and truly, that my performance in a race does not define me as a person. Once we honestly believe this, the door to our full potential is opened. Mainly because it allows us to try, to experiment, to fail and to grow. And I still want to grow as an athlete. Last year my theme was ”Just for fun – with a purpose”. It guided me to a great season with my 8.52.12 in Ironman Sweden as grand final. AG 1st, 5th Swede and 14th overall including male pros was a very inspiring way to round off a Just for fun – season before leaving the 45-49 AG. Now with only two month left until Ironman South Africa I feel curious to see to what extend I’ve been able to develop. Will the swim sessions with Simcoachen transfer to the open water swim in Mandela Bay? How will my Kickr-sessions do as substitute for outdoor bike rides? And will my strength training and treadmill workouts help me to keep it all together during the long hot marathon in Port Elizabeth? Eight weeks from now I will know. Now you know what I’m aiming for during this season. And I’ll get back with updates as IM SA gets closer. 2017 I’ve had Just for fun – with a purpose as guiding mantra. 2018 I’ll turn 50 and I’ve come to the conclusion that I want to use “OnTop@50” as inspiration and guide for my training and racing next season. On top in the meaning feeling content, balanced and “on top of things”. I want to build on my experiences from 2017 and further develop my physical and psychological capabilities in training and racing. There is also a competitive touch to the mantra, and therefore I’ve put together a race schedule labelled Podium Tour 2018. I think stretched targets help me prioritize and stay focused during training, and I definitely aim for at least some podium positions for 2018. Ironman African Championship, Nelson Mandela Bay, Apr. 15th. Ironman 70.3 European Championship, Elsinore, Jun. 17th. ITU Long Distance World Championship, Odense, Jul. 17th. Ironman 70.3 World Championship, Nelson Mandela Bay, Sep. 2nd. Ironman World Championship, Kailua-Kona, Oct. 13th. 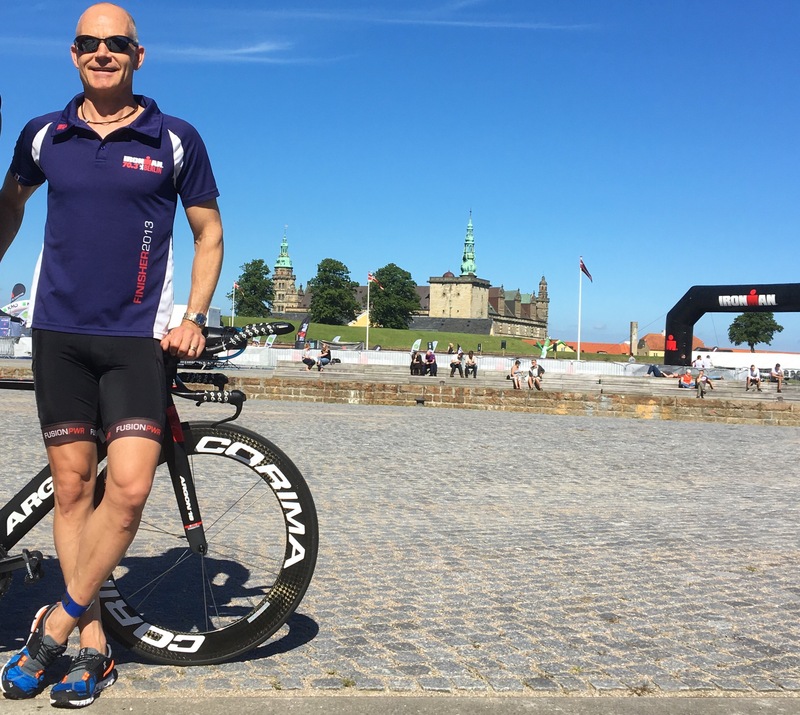 A RACE-report from Kalmar Ironman will follow, but first I’d like to take you back to the days leading up to Kalmar with the ambition to inspire other athletes who work consciously on the mental aspects of training and racing. The following text was written before Kalmar Ironman. Now I want to share it to give an idea of how I was thinking and preparing my self mentally for Kalmar. For the season 2017 I had two main races I wanted to complete: Vansbro Triathlon July 1 (1/2 IM distance) and Kalmar Ironman Aug 19. The overall mantra for the season is set to Just for fun – with a purpose*. I want to develop a more solid ability to stay in a relaxed mental mode the days leading up to and during races. One reason for this is the joy it gives me. Instead of feeling anxious and tense I want to sense the joy and contentment a race gives when ”treated right” from a mental aspect. The other reason is that I know it does affect my ability to perform positively when I stay relaxed. Not ”off” or ”fat and happy”, but rather tuned in, prepared and relaxed. Maybe you could call it Intense Mindfulness. Intense because racing any triathlon distance with some kind of ambitious target is very challenging, physically and mentally. And Mindfulness since the key in his case is being ”fully there” mentally, and this in a relaxed and focused way – with a large portion of contentment in the situation. For me KBT has been a useful tool in business, not the least in terms of managing my own situation as a leader. And since I build my way of coaching my self in triathlon on my experience from business, it’s been natural to involve simple KBT in handling the mental aspects of racing. Getting aware of what beliefs and mental paths an approaching race triggers is really interesting, and of course a stepping stone towards being able to consciously choose constructive thoughts and thereby positive feelings. Elsinore – no pressure – really! I just wanted a race before Vansbro since I didn’t want to race the Swedish Championship as the first race for the season. This gave an excellent opportunity to practice “just for fun – with a purpose”. The preparation the days before the race and at site were minimal and not even close two how I usually prepare. Outcome – AWESOME RACE finishing 2nd in my AG and rank 1 of all Swedish athletes. This really gave me something to reflect upon in terms of relaxing vs. overdoing. Vansbro – race relaxed with the goal to make it to the top 10. I don’t race as an age group athlete during the Swedish Championships, and there are loads of younger athletes that are strong, so I knew it wasn’t going to come easy. So the aim was to build on the experiences from Elsinore and add some “pressure”. The outcome was great. I was able to swim relaxed, bike steady and perform a solid run resulting in an 8th rank overall. Super happy. I felt that I was “on to something” in terms of handling anxiety and staying “cool”. Jönköping – push the limits in terms of recovery and, if possible, qualify for 70.3 World Championship 2018. I registered on site the day before the race – lucky there were a few slots left! I decided to drive the bike course by car in the afternoon, and during that trip I became even more aware of the on and off button – how to switch between “just for fun” and “pressure” just by thinking of my own race as a solo event or as a happening in a context characterized by the presence of competitors and high expectations. By shifting my mental picture back and forth while driving, I could actually sense how the tension in my abdomen and shoulders changes. I wouldn’t say that I’ve become an expert in this field, but I do sense that I’ve made progress. The three races combined have given me insights and experience to build upon. Stay relaxed and get a smooth swim. If I’m out of T1 before my race time passes 1 hour I’m on track. This is in case of nice weather. If it’s windy and rough water the race time becomes less relevant. Deliver a solid, disciplined bike ride during which I’m able to keep my watts, stick to the nutrition plan and stay tucked down in aero position. I hope to get though T2 just under 5.50 on the race clock since that will give me 3.10 for a sub9. I believe I can perform a solid run based on my running so far this season. I haven’t had any run session over 21 k, but I think 4.30 should be quite comfortable and I would like to go as fast as close to 3 hours. My mantra for the race is of course: Just for fun – with a purpose, and I hope I’ll be able to stay in my own race mentally. If I’m able to finish “Sub9Top10” it would be simply amazing. I e finishing in under 9 hours and among the top 10 of all Swedish athletes. This year Kalmar has the male pro field, so I’m aware it might be quite impossible, but I like it as an inspiring vision for my training. I hope this post can support other athletes in there strive for mental development – with a purpose. * First I took quite some time to define the mental mantra that would guide me through the season. “Just for fun – with a purpose” isn’t just a catchy phrase. It’s truly my guide when I reflect on why and how I want to prepare for and complete a race. It reminds me of having fun. It tells me that the way to success goes through having fun. It also grants me permission to have fun! And – it reminds me that there is a purpose for this. Actually there are multiple purposes: Have fun – it’s a purpose in it self. Have fun so I stay relaxed and thus achieve my full potential as a triathlete. Practise having fun – it’s a skill that has to be developed and nurtured. Racing half and full Ironman distance races isn’t pleasant by default… actually it’s rather painful as everyone who’s done it knows. So, if I want to continue grow as and athlete I want to improve my mental skills relevant for triathlon. Logically this should have been a race report from Vansbro Triathlon last Saturday. A race that went simply great and earned me a precious top 10 rank (8th) in the Swedish Championships after 1.9 swim, 90 k bike and 21 k run. I’m so happy for the outcome of the race, not the least the run portion since I kind of bonked last year. This year I had the 5th fastest run of the day! I asked Oscar Olsson (O2Tri) what he thought about the idea to race Jönköping 70.3 only a week after Vansbro (which was two weeks after Elsinore 70.3…). He said 1) Recover properly 2) Give it a go. I also asked Clas Björling for his advice at the finish in Vansbro, and these gentlemens advice have guided me during last week. 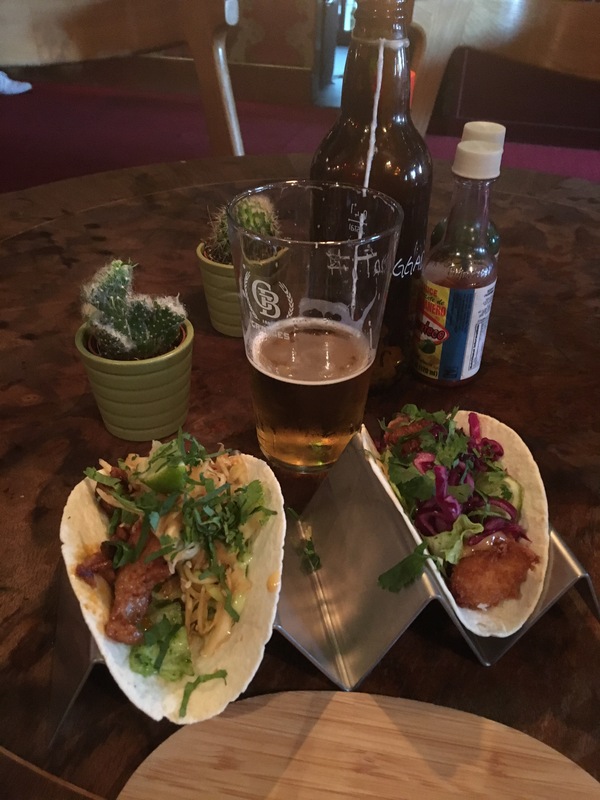 Now a late (a big know-do gap here…) pre race dinner, some extra fluids and go to sleep. Not my standard procedure. But I’m enjoying it to 💯% and I’m really looking forward to tomorrow’s race and to find out how my body will react to a third 70.3 within three weeks. Just for fun – with a purpose! 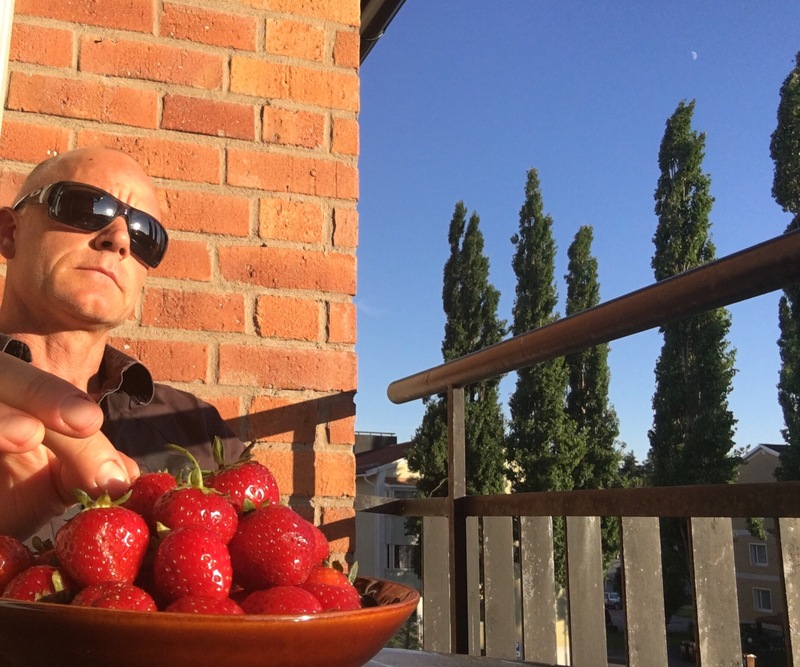 It’s 9.00 PM – and the evening sun is so bright I need shades when eating my pre race dinner ☀️️😎🍓. The forecast for tomorrow says ☀️☀️☀️. So I’m looking forward to a beautiful day in Vansbro during the Swedish championships over the half ironman distance. The race course is as beautiful as it gets. The race plan: Take it easy, enjoy and push it a bit at the end of the run – just for fun – …with a purpose. Race start 11.00 AM women, 11.30 men, 11.40 Masters, 11.50 open Class. Happy racing everyone who races. And to the rest: Have a great weekend! I’m really happy I was able to stick to the plan and make my self a great day in the beautiful weather last Sunday in Helsingør. The main purpose was to get a triathlon race before Vansbro Triathlon two weeks later. With the mindset ”Just for fun – with a purpose” as guide I had a relaxed and very brief preparation on Saturday with ”no extras”. Just registration, race brief (during which I also prepared the transition bags, BIB-stickers etc) and a quick bike ride and check in. I rounded of with a short run around the Kronborg Castle and then took the ferry back to Helsingborg for dinner and a nice evening. I slept very well – not much anxiety before a just for fun-race as you can imagine. It would be my first race in the Orca race suit. I had only used it for some indoor bike sessions and a half marathon. Would I like it for swimming and then also riding 90 km and for a hot run in nice sunshine? It was the premiere for a longer ride and first race with the Spiuk TT helmet. It was the first long run in the new On running shoes (Cloudflow). I had only run 5 km in them twice before. I had decided to try how it is to run a half marathon without socks, i.e barefoot in the (new) shoes. I usually never run without socks, but the Cloudflow is supposed to be designed for using without socks, so I wanted to give it a try (not without doubts I must say). Finally – for many years I have always used a combination of water and energy gels for racing. Energy drinks works for training, but during racing my digestive system and energy drinks are incompatible. But now I had decided to try a new Swedish energy drink called Maurten. I had a smooth start in the rolling start, even thought I identified a room for improvement the very first second of the race: I don’t have any swim goggles that stay in place when I dive in, so I jumped in feet first and lost about 5 m to the ”divers” immediately… a bit embarrassing actually. But, I stayed relaxed and enjoyed the swimming all way, it was a bit cold but no big problem. I got up easy on the pontoon and set of to transition. There is a quite long run from exit swim to exit bike. My Garmin said 800 m of which 200 m was with the bike. The ”bike-run” was over an uneven field, and probably that made my bottle behind the saddle shake almost out of the rack. It stayed in place about 3 km before it fell out when I rode over a bump… For a second I considered continuing without it, but since a purpose for todays race was to test Maurtens energy drink, I decided to turn around and go back for the bottle with the precious brew! Where I was there certainly was no issues with drafting. I rode more or less alone for the majority of the bike leg and I actually could enjoy the scenery. Green fields, nice little villages and great views over Öresund. 0.5 l bottle for the initial 10 km. Not the standard procedure. In the beginning I had to carry it swapping between right and left hand every 2 minutes. I drank a mouth full every km and after 5 km the bottle was light enough to resist the temptation to fall down into the lower parts of the suit while running… so I could keep it stuck inside the race suit. 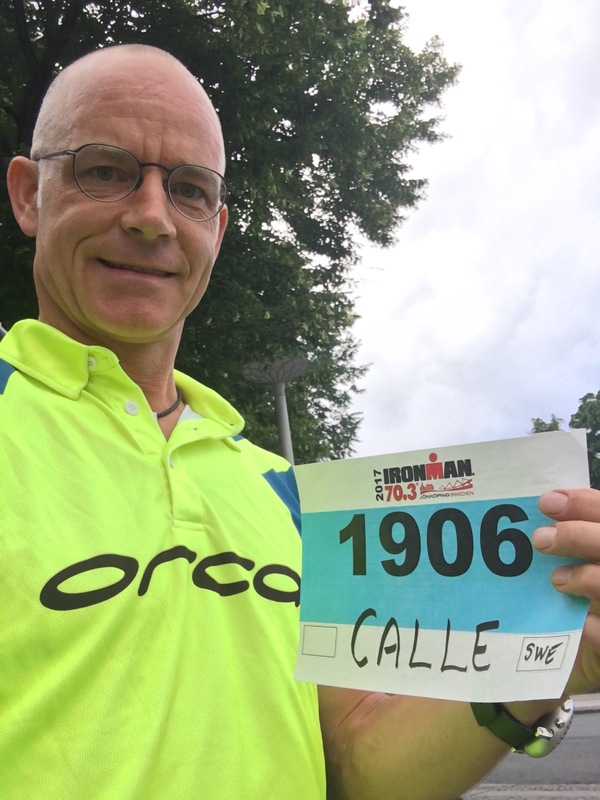 During the run I also use 32GI caffeine shots at 5 and 15 k.
At 13 km Joachim Philipps from Köln Tri (he turned out to be french thought) passed me and said that I had been great for pacing 🙂 I got a bit nervous – same AG?! But he turned out to be 23, and we then stayed within 50 m from each other. I passed him again and then he me, always cheering at each other. We both pushed it a bit harder for the last kilometers and this turned out to be fruitful: I finished 2nd in my AG with 2(!) secs margin to Pablo Erat in 3rd, and Joachim won his by 17 secs :-). With a rolling start it’s more or less impossible to know your exact position in the field, so it came as a big surprise when Åsa meet me after the finish and said that I must have passed 2nd and 3rd in my AG during the last few kilometers. The On Cloudflow – I like! Maurten Sports Drink – worth turning around and going back for! Afterwards I realized that the position as fastest swedish athlete for the day was up for grabs when Patrik punctured. I can’t say I was aware of it, I must say I would have preferred Patrik at the Pro Podium, I will say I’m a bit proud to be the one who grabbed it in Patriks absence. And – racing just for fun sure is fun! …although I will of course swim, bike and run. I’ve decided to have ”Just for fun – with a purpose” as my mental guiding star this season. Tomorrow it’s time for Ironman 70.3 European Championship, and my main goal is to consciously stay in relax mode. I only registered a couple of weeks ago, so it’s not a long term planned race. But I wanted a tri race before Vansbro Triathlon July 1st. So far I’ve managed to stay cool and not trigger all the ”it’s time to race let’s get 100% prepared”-menalt loops. Feels good. Last night we enjoyed great food and drinking Italian style with lovely friends in Malmö, finishing of at a sky bar after midnight 😊. Today I made my fastest registration-race brief – course check-bike check in process ever. So to be honest I’ll be forced to take it easy tomorrow since I don’t know the course and there are many many turns on all three legs. And I think this is good – it will remind me of the purpose of the race: Mental training – stay relaxed & and focus on my own joyful race. During winter I usually allow myself a couple of month for reflection and goal setting for the next season. The foundation is the same: I want to create happiness for others and myself. If I have a mission in my life, that’s it. When it comes to my training and racing, I’d say my own happiness is the primary focus. That’s bit different from my work as coach, consultant and inspirational speaker. In that situation the focus lies on creating happiness and success for other people. Luckily I’m able to combine these two arenas. I’m aware that my training and racing also works as inspiration for others, just as I get inspired from watching and listening to other athletes, and I’m also well aware that an underlying driver for my urge to support other people in their strive for happiness and success is the fact that it fills me with contentment when I sense that I’m able to contribute. I.e. it’s not either or. It’s rather a symbiosis. I’m also aware that putting in print that my main driver often is my own happiness could be perceived as selfish, but I prefer to be honest. Claiming that my main goal was solely other peoples happiness and success might sound nicer, but I’d lie if I didn’t admit that I’m quite occupied with my own well-being. And when it comes to triathlon it took me a while do conclude where I was mentally after the season 2016. Taken into account how age affect our physical conditions in combination with my sense of some kind of disappointment over last year – see last post Sept 4th (!) I realize that I want to change my approach to training for 2017. With this in mind I want to handle my own expectations. I want to find a path back to a situation where my expectations are inspiring and nourishing for my training and racing. Another challenge I face is to separate what actually is happening (reality) from imaginations and assumptions (fantasy) regarding e.g. what other people expect or think of my (race) performances. NB perceived – logically I understand that other people aren’t very concerned regarding my results. I also realize that they wouldn’t be disappointed if I don’t achieve a certain finishing time or if I miss the podium. But the challenge isn’t the logic reality. You see – I want people to bother. Otherwise I wouldn’t have posted pictures and posts on social media. And I certainly wouldn’t have pulled myself together and composed this text. 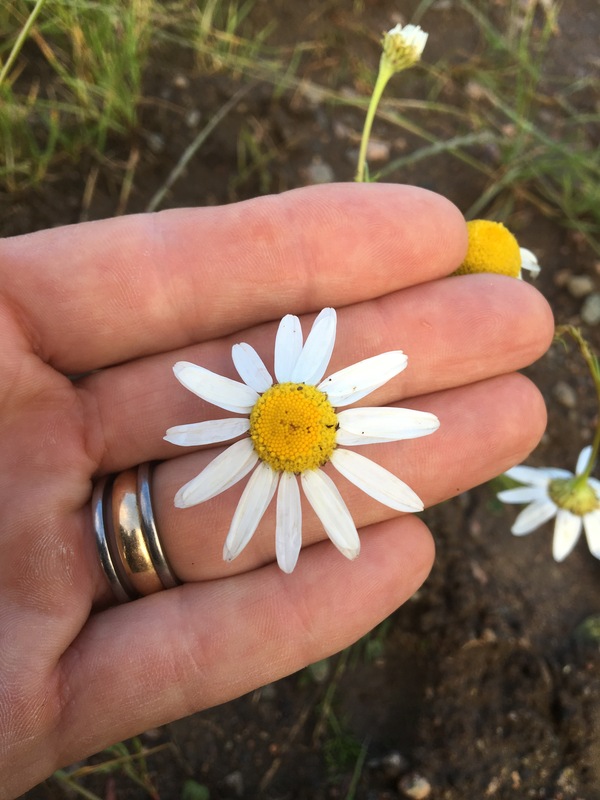 Once again – it’s a symbiosis: I share my thoughts, pictures, goals and achievements etc. By doing that I hope to inspire other people and at the same time I seek affirmation and fuel for my self worth. When this works it’s simply awesome. But, I know I can’t achieve happiness based on my athletic results – rather I need happiness to achieve athletic results. Most likely it’s once again a symbiosis. I want to enjoy my training and racing. Actually all my training and racing should be joyful, but it’s easier said than done to avoid the situation in which expectations and pressure from myself and others is perceived. Thus I’ve come to the conclusion that joy should be my main goal for 2017. I want to give myself the possibility to fully connect to my mission statement: Create happiness. Away from pressure and expectations. This is why my guiding phrase for the season 2017 has become “Just for fun”. With fun as my goal, I want to have Vansbro Triathlon and Kalmar Ironman as my main objectives. I need clear objectives to know how to plan and execute my training. For Vansbro it would be awesome if I could make it to the top-10 in the Swedish Championship, and in Kalmar I want to have a well-paced race and reach the finish line among top 5 in my age group. This gives me inspiration for training hard, but during the whole season I’ll frequently ask myself: Am I having fun?! Next year I’ll turn 50 (ouch, I just realised that this was the first time I wrote that…). By letting joy be the key for this season, I want to build physical and mental strengths with the aim of being able to become an even stronger triathlete. This way I hope to move into base training in November with a solid foundation on which it’s possible to continue evolving during the year I turn 50. That’s why I say to my self: Just for fun – with a purpose. I haven’t decided how I want to celebrate turning 50, but going abroad to a sunny not to small (maybe even Big) island sounds nice and maybe it’s possible to combine that with some kind of racing :-). I wish you all a year full fun training and racing! The last few days I’ve experienced a new kind of challenge linked to training and racing. About a year ago Antti Antonov and I started talking about racing ÖtillÖ, the swimrun world championship, as a team. Antti is a ÖtillÖ veteran with several podium finishes including a win with Björn Englund some years ago. I had the opportunity to race ÖtillÖ last year on a short notice with David Svensson when his team mate got injured a few weeks before the race, so I knew what a huge and awesome challenge it is. The fact that Antti and I would ad up to 99 years of age lead to that I started to talk of us as “oldies but goldies”, since we are a bit older than most of the guys heading for the podium, and the podium was our goal. 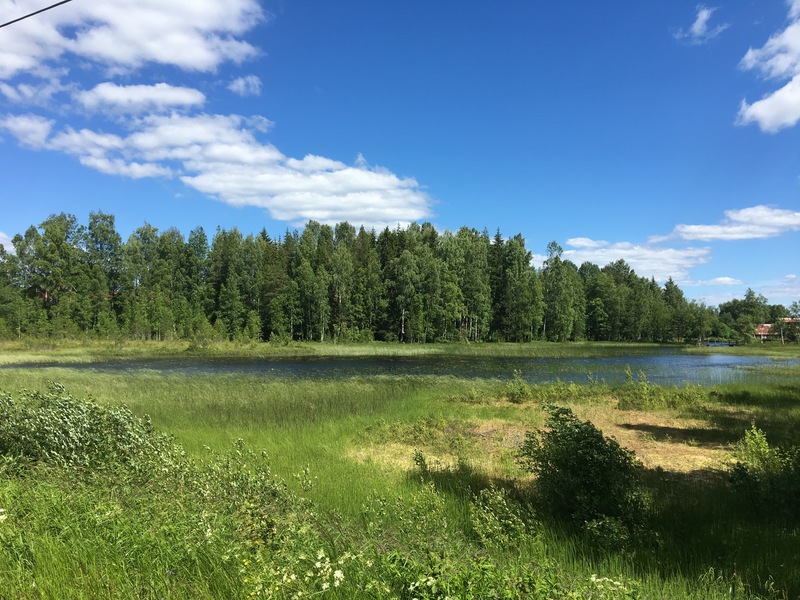 So, during winter I added a lot more trail running to the schedule than previous years, I used paddles more in swim sessions and I frequently visualised us racing through the beautiful archipelago of Stockholm. 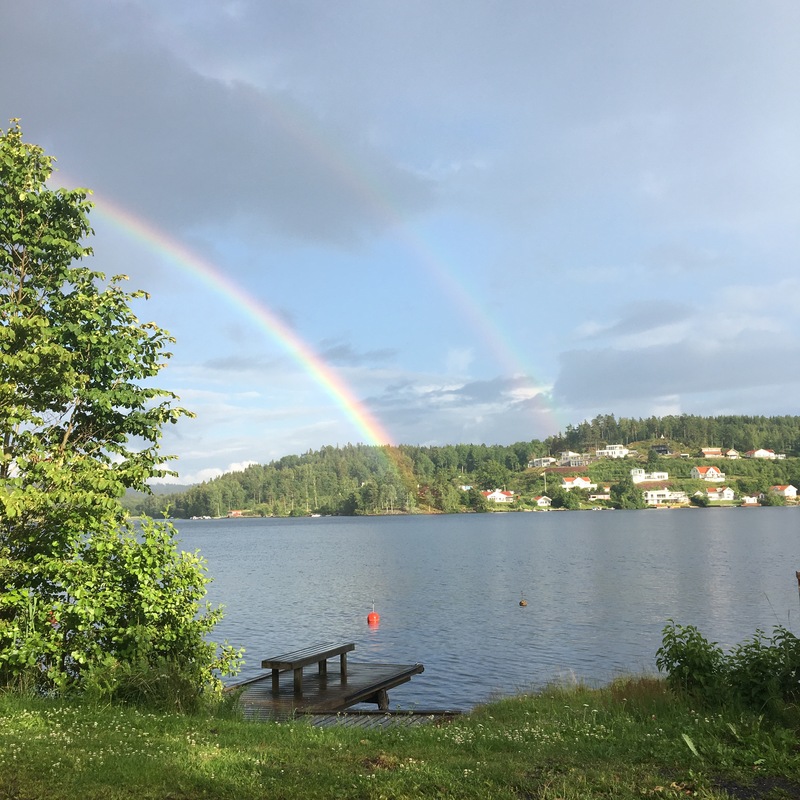 In May we raced Utö Swimrun together to get to know each other during racing conditions (i.e. under physical and mental stress) and in July we trained together on the ÖtillÖ racecourse for three days. We practised swimming together, we adjusted equipment, scouted the trails and calculated nutrition plans. We discussed were and how to make the transitions in and out of the water as smooth and fast as possible and the race strategy was set. Simply put – we were serious about our podium ambition, and thus we put serious effort behind this ambition. and awesome. The opportunity to share the joy and the pain with a friend and team partner adds a very valuable dimension to the race experience. And I won’t be in Sandhamn Monday morning feeling the nerve just before the gun goes of at 6 am. The decision is right for sure, since the virus that found its way to my throat is of an endurance kind… Most athletes who race for a couple of years will sooner or later experience a DNS due to health issues. It’s always a pity not to be able to race as planned, and if it’s an important race (such as a world championship) it’s even worse of course. When it happens I use different mental tools and techniques to gain perspective to the fact that I can’t race as planned, and usually it works. Handling my own disappointments is at least partly a skill you can practice. But leaving a healthy, fit and super motivated team partner on the shore without the chance to race is a totally different story. Especially if you know that this race his the last long distance race he has the intention to do. His Grand Final. Now, just to make it clear; Antti never expressed any anger or disappointment. Of course he wanted to race, but he never put any blame on me. I guess that’s how most people would act, and I think it’s harder to forgive your self than someone else in this situation. I can understand that intellectually. But the challenge is to emotionally handle the feeling of letting someone down. To tell a friend that you won’t show up, and as a consequence he or she wont be able to fulfil his/her dream. Today I got a sense of that experience, and I’m happy enough to be saved by the bell, or rather Henrik. With less than 40 hours left before race start, Antti finds a new team mate. The relief I feel in that moment is immense. Suddenly it’s only my loss, and that is something I can handle. I’m truly grateful to Henrik Jaensson who on extremely short notice changes his schedule and agrees to race, and race hard, with Antti. Obviously – the upside of racing with a team partner comes with some down sides. I’d say the one I faced today is one of the harder to handle. I wish you all healthy happy racing!